Social media has become a common platform for businesses to make a mark. Nowadays, entrepreneurs have realized the cold hard truth that traditional marketing techniques have gone obsolete. But, the world of social marketing it is a cut-throat competition. This is because, almost every form of business is making an entry into this platform. One of the major reasons for social media marketing being so popular is that the response rate of customers is much higher than the normal marketing technique. Apart from that social media marketing is also very pocket-friendly than a traditional form of marketing. As the traffic is much higher on social media the competition is also thereby comparatively higher. But yet there are instances where many companies fail to make a mark in social media marketing and also gather lesser response than they had expected. Well, is your company too facing the same problem? If so then you still have the chance of getting a more respectable position in the social media market. All you need to do is to follow the steps that are given below. Here is a guide as to how you are going to let your company website stand out of the rest with the help of effective video displaying. There are more than a billion videos that are uploaded each day on Facebook you can certainly include yours among them. Target showing your videos to the fans of your rival or your competitor. Apart from that you can certainly target those viewers who have recently visited your website. Make sure that the video that you are uploading is artistic and creative. Well, in one word make sure that it is engaging to attract customers attention. Emotions play a major role in marketing success. Thus, when you are planning to upload a video make sure it has the capability to connect to your viewers emotions and feelings. For your video to get that charming effect it is important that it is always supported by an audio. Twitter is another important social media site that is being widely used by people all over the world. Thus, if you can have your videos uploaded in social media then it will certainly be a boon and not a curse. When ou are planning to post a video on Twitter the first thing you should keep in mind is the fact that the video needs to short and impactful. 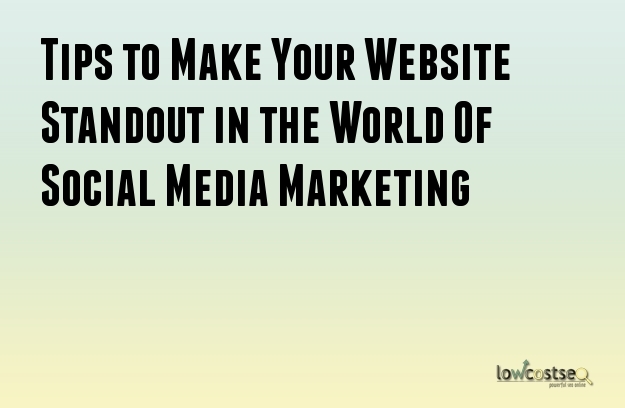 This will certainly help you to attract the attention of your audience. The concerned video should be enticing, inspiring and should have the ‘wow’ factor. These factors will engage your audience to view the complete video instead of leaving it halfway. Nowadays, with more and more people becoming literate they are certainly becoming great thinkers. Thus, it is important that the storyline of your video be innovative and certainly meaningful. Through your video allow your business to be expressed in a more natural way. You should never forget the fact that since social media marketing is the current hype more and more business are trying to make a mark in this platform. Thus, it is very important that your video is innovative and creative enough so that the videos love watching it.